During her life a woman will look at her engagement ring at least a million times ... She is THE ring par excellence, symbol of a promise of eternal love and passage rite that goes back to the times of ancient Rome. A gift so important must be chosen carefully, especially since there are many different models in terms of design such as materials or stones. So how do you go about making sure you make the right choice? 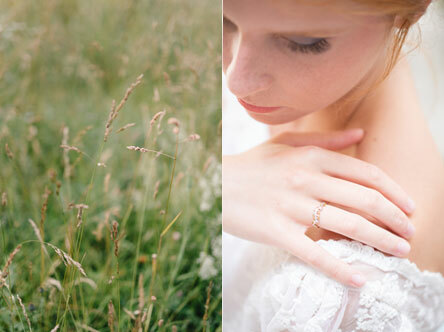 To start, look for a ring that reflects the style of the future bride: in terms of design, metal or color. A very popular choice is eventually 18 carat gold. But 9 carat gold, which is just as resistant, is an increasingly popular choice which gets the desired satisfaction at a lower cost. Consisting of a percentage of gold lower than that of the 18 carat gold, it provides access to a very good design-price-quality ratio. 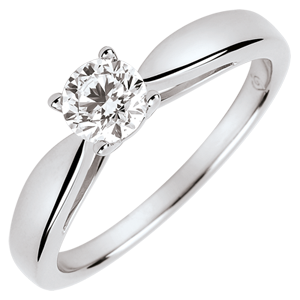 Know that it is also possible to find platinum engagement rings, a resistant material but more expensive than gold. Once again the choice of color should reflect the future bride's personality. If the latter has the habit of wearing white gold jewelry, then it’s best you turn to this choice to be sure not to be wrong. Same for other colors. Yellow gold is a jewelry classic. 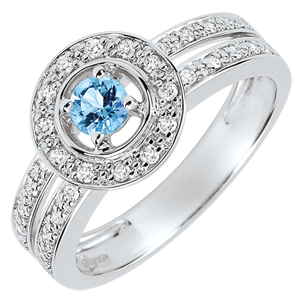 The carats depend on its purity: the purer it is, the more intense its color. This golden color is perfect for a warm complexion. 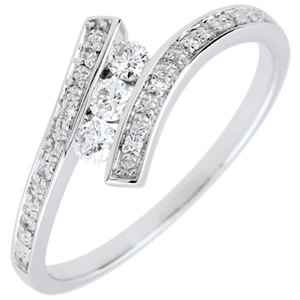 White gold is a more modern choice that will sublimate the unique diamond with a very elegant tone. Over time, white gold tends to turn yellow, but a layer of rhodium every 3-5 years is enough to give it the original luster. Pink gold is less cold than white gold and more original than yellow gold. Its soft shade sublimates a darker complexion. There are usually three types of models: the solitary, the accompanied solitaire and the trilogy. The "classic" solitaire, with a single diamond or precious stone in the center, is a ring with eternal charm. 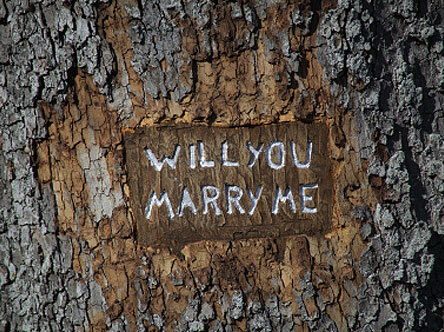 With this engagement ring, you are sure not to go wrong. In addition, the diamond, from the Greek adamas "indomitable, invincible", is the hardest and most resistant stone, and the symbol of the perfect pledge of love. The accompanied solitaire consists of a main stone as that of the single solitaire and side stones or stones crimped on the ring. With this model, you are sure to make have a positive effect on Madam. 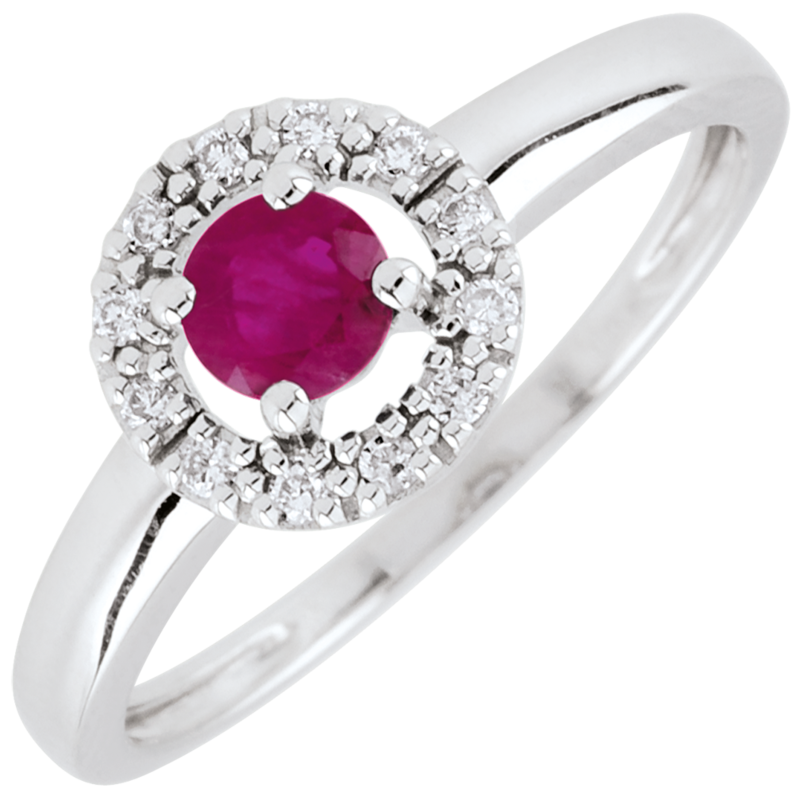 Finally, the trilogy model is composed of 3 main stones representing past, present and future love. An engagement ring containing all symbols. "Diamonds are a girl's best friend," sang Marilyn Monroe. Very resistant, she has the advantage of getting along with everything. Still, if you opt for this stone, it is important to consider the "4 Cs" of a diamond. That is, the parameters that determine its quality and value: clarity, color, carat and cut. 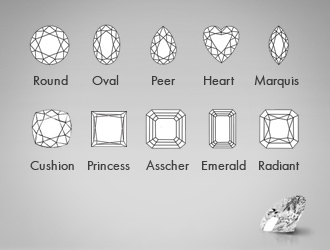 Cut is the size that is given to the stone: the most common size is the brilliant / round size but there is also the princess size, drop, heart, oval, square or cushion. The size is fundamental for the brilliance of the diamond and it is especially the 58-faceted round cut, better known as the brilliant cut, which sublimates this stone the best. The purity (clarity) corresponds to the amount of inclusions in the stone while the color (color) is measured in letters: D represents perfection, that is the absence of color, Z the diamonds with more of yellow. Edenly uses only colorless or almost colorless diamonds whose possible inclusions are not visible to the naked eye. Finally, the carat, is the unit of measurement of the weight of the stone. Other precious and colorful stones could be less expensive and original alternatives to diamonds. 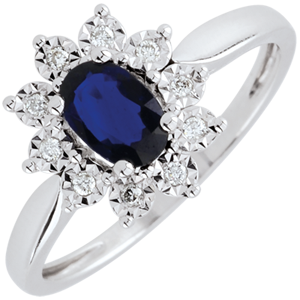 Other popular stones are sapphire, which was revived Lady Diana’s ring now on Kate Middleton’s finger, and also the ruby or emerald. 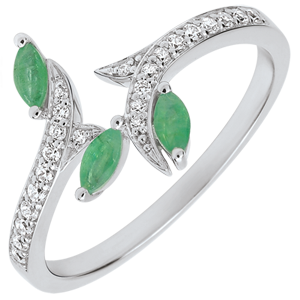 Celebrities like Penelope Cruz, Elizabeth Hurley and Halle Berry wear an "engagement ring" with these stones. Les bijoux de rêve portés par les stars sont un privilège d’élite, on le sait, mais le choix de la bague de fiançailles ne peut pas se passer de la qualité. C’est pourquoi Edenly à dédié aux petits budgets une séléction de bagues de fiançailles qui combinent un prix doux à une qualité excellente, garantie par le certificat d’authenticité qui accompagne chaque bijou. Et maintenant, c’est à vous! Enchanted Garden Ring - Royal Foliage - Diamond And Pink Gold - 9 Carat - ref 3480.